Two experts from the Royal United Services Institute, a London-based think tank, examine the People’s Republic of China’s growing defence relationship with the Islamic Republic of Iran, and its implications for the wider world. In 1979, two distinct political shifts took place. The success of the Iranian revolution led by Grand Ayatollah Ruhollah Khomeini cemented Iran’s future as the Islamic Republic of Iran and him as the country’s Supreme Leader. Diplomatic links with the United States were cut. Conversely, the People’s Republic of China (PRC) and the United States established full diplomatic relations. Since the end of the Second World War on 2 September 1945, successive US administrations had followed the original Kuomingtan government on the Chinese mainland which repaired the island of Taiwan in 1949 towards the end of the Chinese Civil War and the establishment of the communist PRC. Thus in 1979, while the PRC was on the brink of kick-starting its policy of ‘reform and opening up’ to the world, the diplomatic doors to Iran were slowly shutting. While the former needed fuel to sustain its fast-paced economic growth, the latter needed buyers of its energy. Building on the foundation of solid economic ties, Iran and the PRC are now embarking on a ‘new era’ in their strategic partnership that will extend into the realm of defence cooperation as was communicated by the PRC’s defence minister Gen. Chang Wanquan in mid-November during a three day visit to Tehran. However, what is the Sino-Iranian relationship and what specifically can we expect from their commitment to ‘defence cooperation’? At a time when the Chinese economy is slowing down and fears of a hard landing for China’s credit-fuelled growth abound, the country has embarked on an ambitious One Belt One Road (OBOR) initiative that was launched in 2013. The Asia-Pacific is expected to experience the largest share of global growth in the near future and the PRC’s economic growth objectives are likely to ride the economic wave through enhanced economic integration with its peripheral neighbourhood, and beyond. The OBOR initiative consists of two trajectories along which the PRC seeks to invest in infrastructure and create ‘economic corridors’ that in theory will serve to enhance market integration for the country’s infrastructure productivity and outward investment. While one is maritime-based (the so-called 21st Century Maritime Silk Road), the other is the overland Silk Road Economic Belt that stretches across Central Asia and Russia, and connects the PRC with Europe. It also happens to run through Tehran. It is in this context that the PRC is currently strengthening its ties with Iran, further expanding the economic relations that were established following the Iran-Iraq War (1980-1988) and that, particularly throughout the past decade, led the two countries to become significant trading partners. Iran has seen the PRC as a crucial ally against the pressures exerted by the West, particularly in light of the regime of international sanctions imposed against the country between 2006 and 2014 as a response to the Islamic Republic’s nuclear weapons ambitions. The PRC was involved in the negotiations over Iran’s nuclear programme together with France, Germany, Russia and the United States (collectively known as the P5+1) and therefore abided to the dual track policy adopted by the group. This approach centred on dialogue over a potential solution to the crisis coupled with the issue of nuclear-related sanctions against Iran. Despite its role in the negotiations and its reluctant imposition of sanctions, Beijing (and Russia) took a different stance to that of the other P5+1 states by maintaining its trade and commercial ties with Tehran throughout period. When unilateral sanctions were imposed on Iran in 2010, the majority of Western countries withdrew their presence from Iran. The PRC did not. Instead, it capitalised on Iran’s exclusion from the global market and became the nation’s dominant investor and trading partner, particularly, but not only, in the energy sector. Before the Iranian oil embargo in 2012, Iran was China’s third largest crude oil supplier, importing roughly 550,000 barrels per day. By 2015, these imports increased by 30 percent, accounting for nine percent of China’s overall imports of oil. The PRC has also invested in the non-oil sector in Iran, exporting consumer goods, but also partnering with Iranian companies in the field of telecommunication, construction, manufacturing and transportation. By 2014, the two countries traded more than $52 billion. The 2015 nuclear agreement between Iran and the P5+1, officially called the Joint Comprehensive Plan of Action (JCPOA), carried with it certain expectations. Given the nature of the economic engagement between Iran and the PRC thus far, as well as the goals set by the CPC, the lifting of sanctions was anticipated to translate into a further strengthening of Sino-Iranian ties. As the first Chinese president to set foot on Iranian soil since 2002, the visit of Mr. Xi just days after the deal was implemented has been interpreted as a strong signal in that direction. During the official visit, the two countries called for their ties to be characterised by a “comprehensive strategic partnership” that would enhance cooperation in a range of sectors such as energy, infrastructure, industrial capacity, and finance; all of which fall under cooperation on the OBOR initiative. Following the nuclear agreement, Iran and the PRC have also discussed peaceful nuclear cooperation, particularly in light of the fact that the former is in charge of the modernisation effort for Iran’s Arak heavy water reactor. To signal the importance of the OBOR initiative, in January of this year Iran sent a container ship, the MV Perarin, to Guangxi in southern China. China, in turn, has sent a long-distance 32-wagon container train from the eastern province of Zhejiang to Tehran, passing through Kazakhstan and Turkmenistan along the way. Beyond an economically viable Sino-Iranian partnership, however, still lies a conscious strategic orientation away from the West. By his own admission, Iran’s Supreme Leader Ayatollah Ali Khamenei this January stated that the nuclear deal does not change Iranian relations with the West, which Iran never trusted, and that closer economic and security ties would be needed with the PRC. Beijing is more nuanced and careful in its choice of wording. As a rising superpower, Beijing is well aware of its position in the international spotlight. It seeks to reconcile its increasingly assertive posture in the international domain with the image of a responsible international heavyweight that seeks a peaceful rise. The continued tensions in its immediate periphery, and in particular maritime and territorial disputes with which it is involved in the South and East China Seas, have taught Beijing that turning economic might into political right is neither immediately and nor unconditionally welcomed by the international community. The PRC has therefore insisted on portraying itself as a responsible actor that is committed to international security and ‘win-win’ solutions for all. Indeed, the Chinese Ministry of Defence, in a news feature on the November bilateral meeting between Iran and the PRC, noted that the bilateral relationship and defence cooperation would play: “an important role in maintaining regional and world stability, security and peace.” The partners that it chooses, however, are an indication that China, as the model for developing nations, seeks to move towards a multi-polar world, or at least away from a uni-polar system at which the United States is at the helm. This has translated into a desire by Tehran and Beijing to reinforce their partnership through security and defence cooperation. This is not entirely new: Beijing was one of the first countries to establish nuclear cooperation with Tehran in the end of the 20th Century. Indeed, the PRC contributed to the very foundations of Iran’s modern nuclear programme through providing it with a 27 kilowatt miniature neutron source reactor and two 300 megawatt Qinshan power reactors. This cooperation, however, was halted in 1997 following US pressures and the Sino-US agreement. The PRC has also supplied Iran with some of its major defence technologies since the 1980s, when arms were sold to the country in its fight against Iraq. Among other things, the PRC equipped Iran with tactical ballistic missiles, in the form of the CSS-8 short-range ballistic missile, circa 200 of which were acquired from 1989, boosting Iran’s Anti-Access/Area Denial (A2/AD) posture, and Anti-Ship Missiles (AShM) such as the 82 HY-2 weapons provided between 1986 and 1987. More details on Iranian anti-ship missile exports can be found in Thomas Withington’s The Signal and The Noise article in this issue. 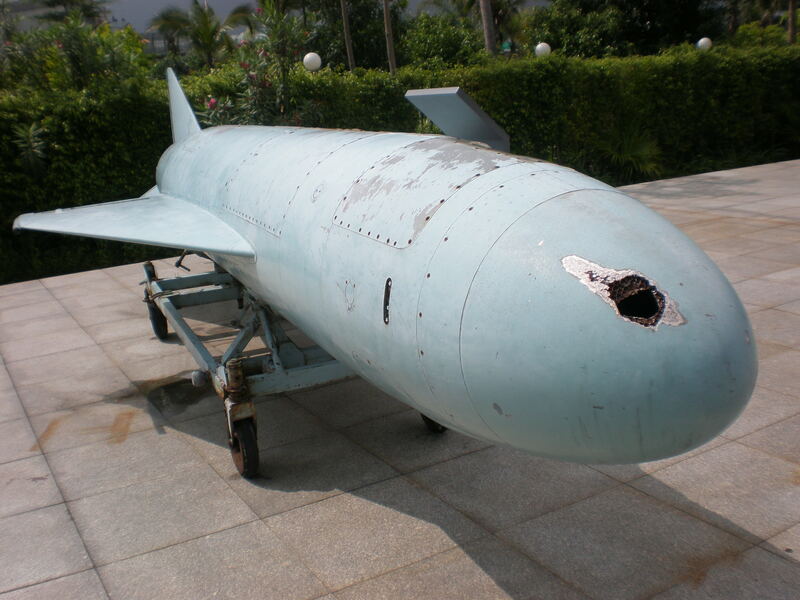 The PRC also helped Tehran develop its indigenous Nasr-1 AShM. Like its cooperation in nuclear technology, US pressure and the sanctions regime against Iran meant a gradual decline in Chinese arms sales to Tehran. Security ties between China and Iran, however, continued on a few other fronts. Since 2013, Beijing and Tehran have strengthened their cooperation in the maritime domain. In March 2013, the Iranian Navy’s 24th Fleet, comprosing of the ‘Alvand’ class frigate IRIS Sabalan and the ‘Ol’ class oiler, IRIS Kharg docked at the port city of Zhangjiagang in Jiangsu province. 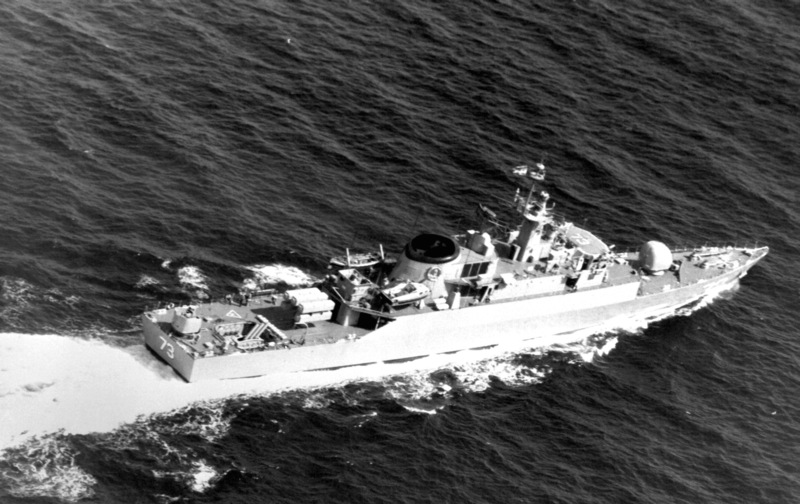 Similarly, in September 2014, two People’s Liberation Army Navy (PLAN) destroyers docked at the Iranian port city Bandar Abbas in the Persian Gulf, signalling almost certainly “a high-level Chinese decision to grow Sino-Iranian cooperation in the vital defence dimension,” according to the Middle East Institute, a Washington DC-based think tank. This was in fact the first time that Iranian ports were on the list of port calls for the PLAN, despite the fact that since 2008, the force has maintained a permanent deployment in the Indian Ocean. Furthermore, the PLAN and Iranian Navy held their inaugural joint naval exercises in the Persian Gulf in 2014. The recent visit of Gen. Chang to Tehran, therefore, only confirms this trajectory in security and defence cooperation between Iran and the PRC. On 14 November in a meeting with Iranian defence minister Hossein Dehghan the two countries’ representatives signed a deal to enhance their military and defence cooperation in “the fields of human resource training, fighting terrorism and exchange of information, as well as equipment and technology,” according to media reports. The agreement calls for intensification of bilateral military training and closer cooperation on regional security threats, with the fight against political violence being at the top of the list. 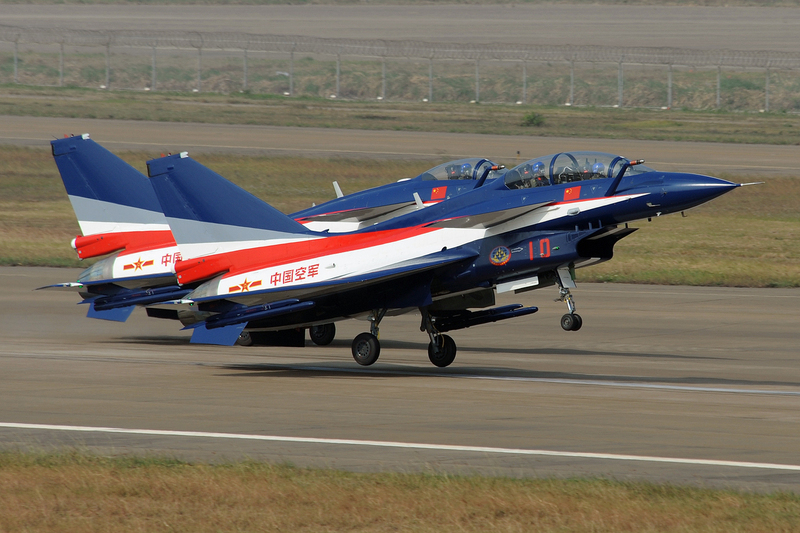 It also suggests that the two countries will stage joint military exercises in the future. The agreement also indirectly signals something else, namely, the possibility that arms might once again be provided to Tehran by the PRC. The nuclear agreement between Iran and the P5+1 discussed above currently poses restrictions on arms and missiles sales for five and eight years, respectively. Countries are therefore required to gain United Nations (UN) Security Council approval before warships, combat aircraft, missiles or main battle tanks can be sold to Iran. During the negotiations, the PRC insisted on lifting the UN arms embargo against Iran and the recent meeting suggests that the PRC might seek ways to make weapons deals with Iran, in line with, or in spite of, the UN Security Council procedures. This would help Chinese military strategists to portray their ties with Iran as a way to counter US ‘hegemony’ in the Middle East and as part of an effort to build a more multi-polar world, but also provide the country with a foothold for greater regional influence, beyond the realm of the economy. Iran will certainly look with interest at what the PRC has to offer. In particular, Tehran might try to buy Chinese Chengdu Aircraft Corporation (CAC) FC-10 fighters (the export variant of the CAC J-10A/B), unmanned aerial vehicles; satellite navigation systems and services; communications; surface-to-air missile systems, and electronic warfare equipment. Iran might also be interested in expanding its A2/AD capabilities by obtaining the PRC’s ‘Type-22/Houbei’ class missile catamaran which has been designed to possess a low radar cross section.. This would be a particularly likely development given the expanding navy-to-navy relationship between the two countries over the last three years. Furthermore, Tehran might also seek to increase its anti-ship missiles capability with the help of the PRC through the transfer of supersonic missiles such as the China Aerospace Science and Technology Corporation CX-1 or YJ-22 surface-to-surface missile. Additionally, Iran might also seek to acquire customised ‘Type-039A/Yuan’ class conventional hunter-killer submarines from the PRC. The Islamic Republic of Iran and the People’s Republic of China at one point or another have been side-lined in the international political arena. Their pragmatic approach to maintaining economic relations and steadily building dialogue and an appetite for engagement have seen both countries return to the table. With the lifting of sanctions, Iran is poised to welcome greater investment and cooperation with the outside world. The PRC, with its historical ties to Tehran, is ready to use this opprtunity for its own grand designs. The OBOR project needs partners across the Eureasian continent and the CPC needs the initiative to work for domestic legitimacy of its one-Party system of governance. However, the move into defence cooperation is not just an economic move geared to greater trade and investment. It is also a concious political move to build a stronger support for a PRC that is growing not just economically, but politically and seeks to move away from an American-led hegemony to a multi-polar world order. Both also continue to hold some suspisions over the West, Iran feels that the JCPOA has not delivered on its promises, while the PRC fears it is actively being contained. The decision to engage in bilateral defence cooperation therefore ticks both economic and political boxes. Both countries, also, maintain that they are seeking positive roles in the international environment. Certain international legal constraints will continue to limit their defence cooperation to an extent and the next moves by both countries will be symbolic of what can be expected from the future Sino-Iranian relationship. In the meantime, both countries know that the eyes of the world will be watching them closely.